I had a stressful experience earlier this week (which I won’t go into). Part of the experience was I got to separately talk to a health professional and a policeman on entirely unrelated matters. Without going into details of our conversations, it became apparent that both were dissatisfied with their jobs and the common factor they were not being given the support they rightly expected to be forthcoming and my instinct was they lacked the leadership above them to be able to relate their concerns, let known even address them. It reminded me I have been commenting on goings on in our society for some time now via my regular blogs and of the sinking feeling, while I see a lot of good people and noble deeds happening around me, all the time, my gut tells me somehow we have lost our way and there is no person I can see that can help us find it. 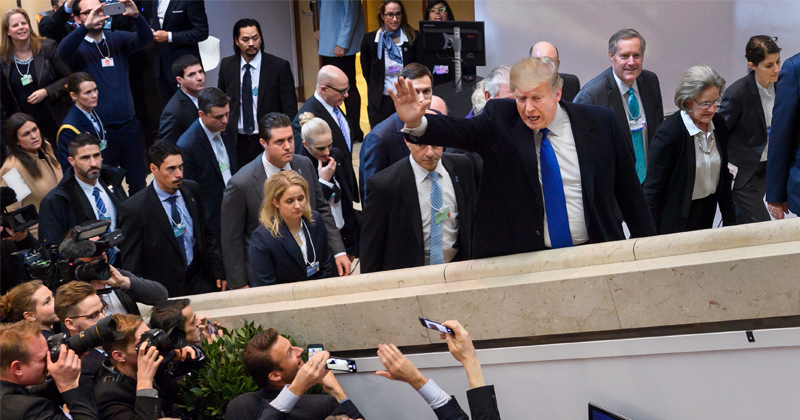 I add this photo because it is part of an interesting article that is part of my Facebook feed today, titled: “Trump Steals Thunder From Davos Elite – Trump a Howard Roark-style American cowboy rebelling against powerful evil”. Let me reassure readers this is not going to be another apologetic espousing the merits of POTUS but rather to illustrate that the malaise I am talking about spreads far wider than the Britain I love. Even if Trump were to be seen as a deliverer out of this malaise, I quite get it when his detractors argue he is a contributory factor, citing the recent increase in feelings of unease by and attacks on minorities since he came into power. As I have argued elsewhere, I see no-one in our political leadership that I believe “gets it” as they should, an essential pre-requisite to dealing with the problem. Sadly, my observation is in all sections of public life the good guys don’t make it to the top, and it is those who play “the game” who do. Happily, I still see evidence everywhere of the good guys making a difference, but they need to be encouraged. Brexit may be a part response to “rebelling against powerful evil”, but no-one is around it seems that will confidently lead us into “the Promised Land”. Back to Trump and as an aside, while I see him more as a Cyrus rather than an Antichrist type figure, I am chillingly reminded from scripture this feeling of needing someone to deliver us is the very trigger that will bring in the reign of the Antichrist. Something has to happen to change the mood of our nation in order to bring back hope and give our nation a sense of identity and purpose. It could be a great calamity and that may well be the case in order to bring us to the end of our tether, bring us together, make us realize what matters and, dare I say it, bring us back to God. 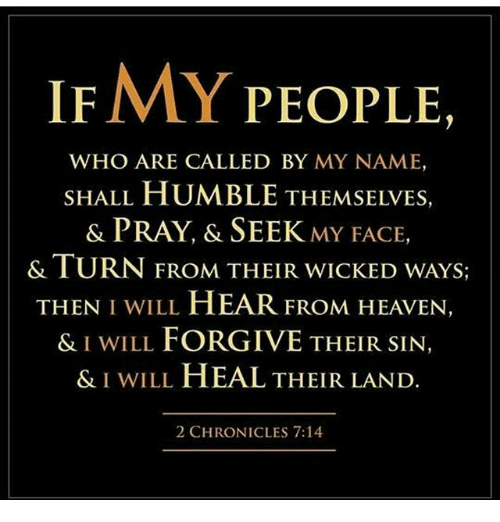 I quote as I do because the verse talks about healing the land, which is what we need right now, but before that can happen God’s people need to repent and call upon him. Speaking personally, I feel that malaise and is a reason for feeling lack luster of late. While I am recognizing my responsibility to others, it needs more than me pulling myself together and is why I need to call on the Lord.